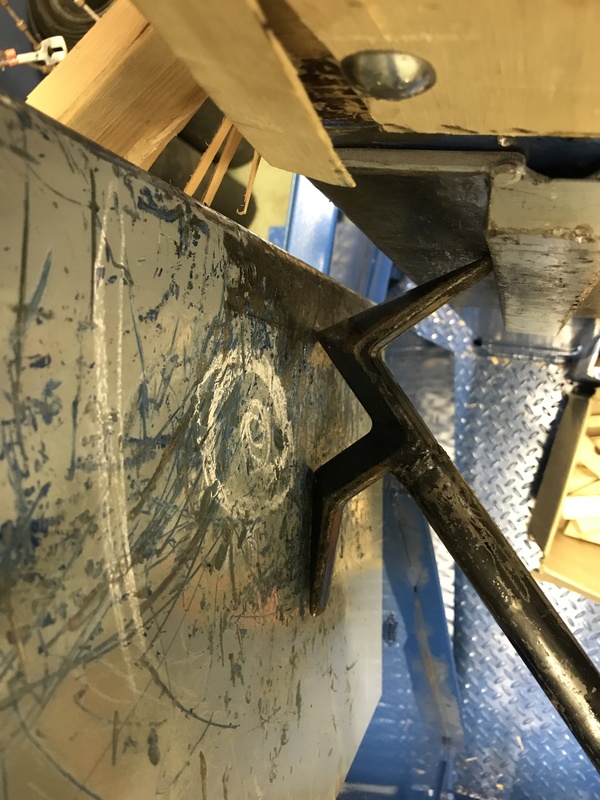 The NY hook may be used to force doors in a similar manner that the adz (of a bar) is used when applying it to an inward swinging door. As we see in these photos as long as you have a slight gap between the door panel and the jamb, the leverage of the tool will do most of the work. The end of the hook will provide the leverage between the panel and the jamb (approx 4.5-5″ of spread compared to 6-6.5″ with an adz). The length of the hook will determine the leverage as it relates to the amount of force a firefighter will use to create the spread. Once through the door, always control the door.